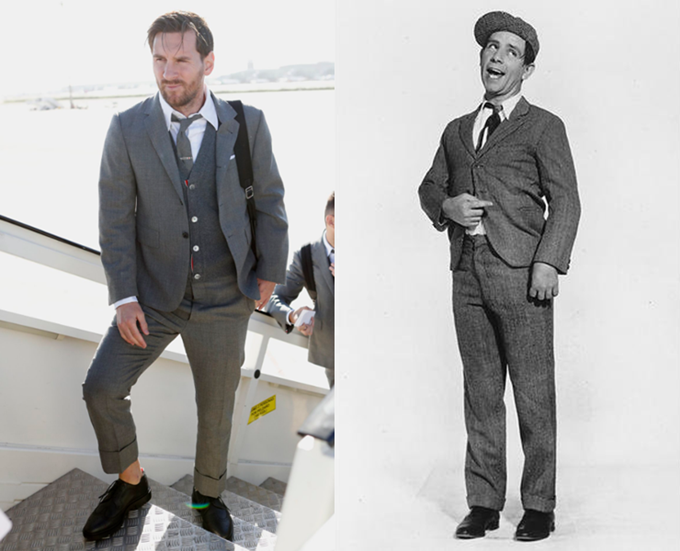 Barcelona have struck a deal with American fashion designer Thom Browne to supply their “off-field tailored fits and formal wear” – aeroplane clobber – for the next three seasons. Not that Pies can claim to have any great sartorial flair, but doesn’t Leo just look a little silly here? Like a 10-year-old at his uncle’s wedding.